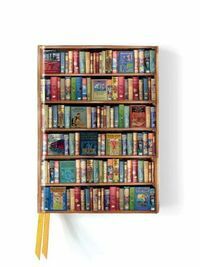 Much more than a simple journal, this beautiful line of Visual Notebooks is a hybrid product, the likes of which is unmatched. 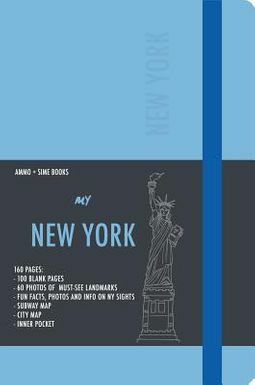 Part journal, part sketchbook, and part tourist guide to New York City, these innovative notebooks include stunning photographs, a city map, metro guide, and fun factoids about the city's landmarks.These pocket-size, 5 x 7-inch journals are available in classic Black and five other vibrant color choices: Yellow Saffron, Orange Juice, Blue Duck Egg, Crisp Apple Green, and Coral Reef. Each notebook consists of 160 pages, alternating between blank pages for notes and thoughts and pages featuring artistic images, both large and small, of the New York's sights and attractions. The 60-plus images range from black-and-white line sketches to colorful original photographs, each accompanied by intriguing and little-known facts.Each rounded-corner notebook also includes an internal pocket for tickets and mementos, as well as a complementary color bookmark ribbon and elastic closure, making it the perfect packable companion for trendy travelers.